The last introduction as part of the well-known Avocet family. 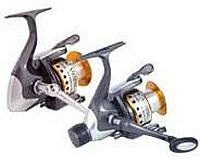 These 3 reels are dedicated to saltwater applications: SW design, SW treatment, SW resistant and very good value for money. This series is bound to become a successful one in the saltwater market. 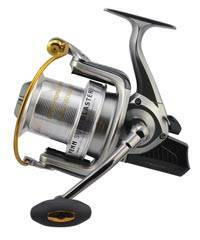  3 + 1 stainless steel bearings including IAR.  SW specific (bearings, line roller, main shaft, handle shaft). 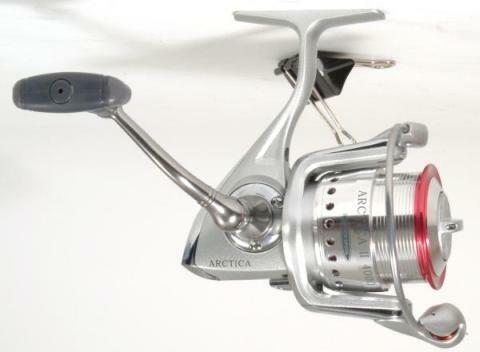  Two-tone aluminium main spool.  High-density EVA knob, comfortable and resistant. 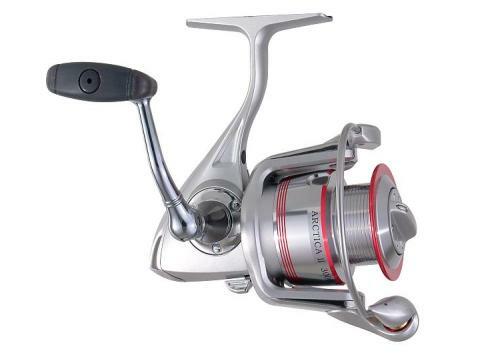 Next generation of this famous Advanced series, the Mitchell Avocast Reels provide great casting performance. 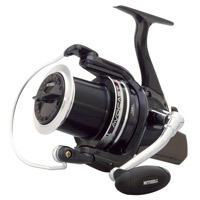 Slow oscillation system, long cast aluminium spool, alumimium handle and strong front drag system on this fantastic series of long distance reels. 8 bearing system drive in sizes 8000 and 7 for the size 7000. 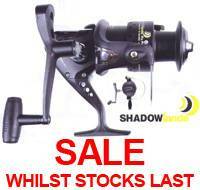  Quick drag spool perfect for carp fishing. 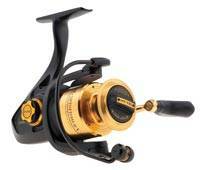  Solid bail lock for distance casting. 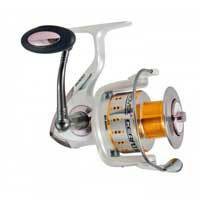  Large tapered long cast spool.  Super slow oscillation for near perfect line tray.  Large power handle to provide winching power. 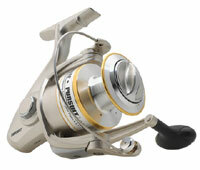 The Pursuit II Fishing Reel is an upgrade of the successful Penn Pursuit spinning reel. 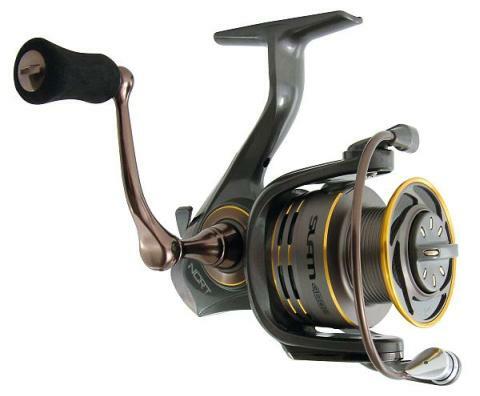 This new series has been given true PENN cosmetics, an improved handle knob, and an updated spool with line capacity rings. 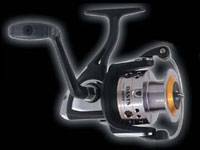 High value for money and very versatile, from spinning to deep sea fishing and from saltwater fishing to freshwater fishing. 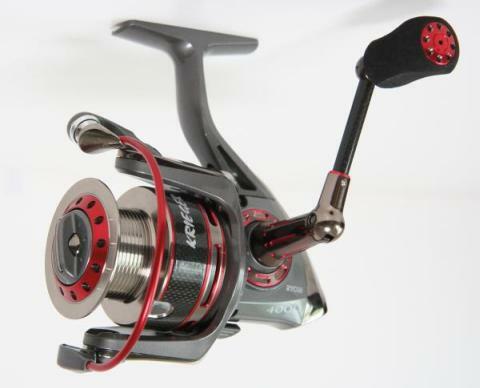 Reel Capacity: 235yd/6lb, Recovery: 28"
Reel Capacity: 295yd/15lb, Recovery: 27"
Reel Capacity: 395yd/20lb, Recovery: 31"
To complement the new Kuroshio lure rods, Snowbee's new Kuroshio spinning reels offer premium performance at an affordable price. 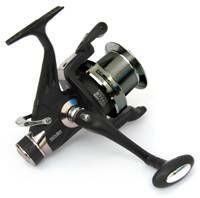 Precision cast, lightweight aluminium main body and rotor, with CNC machined aluminium spools. 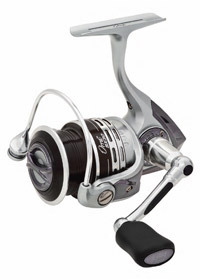 The 9+1 stainless steel ball-race bearings provide silky-smooth performance, while the stainless steel anti-reverse bearing, machined brass main gear and corrosion resistant internal parts offer total saltwater protection. 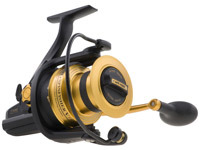 Snowbee Raptor Spinning Reels are a new direction for Snowbee, and offer exceptionally smooth performance for both fresh or saltwater use and amazing value for money! 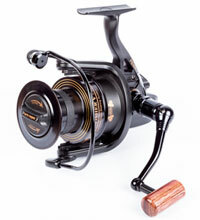 These new, lightweight graphite reels feature CNC machined aluminium spools, link arm and handles. A silky smooth performance is achieved by use of 8+1 top quality stainless steel ball race bearings and anti-reverse bearing. 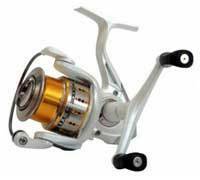 Coupled with a brass pinion gear and corrosion resistant internal parts, these reels are equally suitable for fresh or saltwater use. 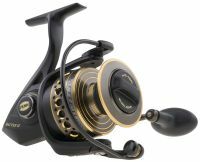 The new Ryobi Krieger front drag spinning reels offer strength as well as good looks, with a metal side cover, bail holder and handle. The durable thick aluminium bail arm provides softer line treatment and the large washers in the micro-pitch drag deliver smooth performance and reliable power. 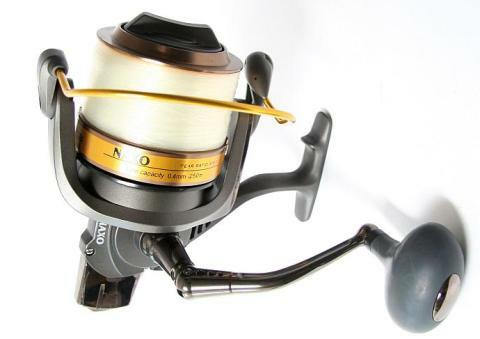 The worm drive oscillation system gives superb line lay which minimises line wear and makes these reels ideal for use with both braid and monofilament. 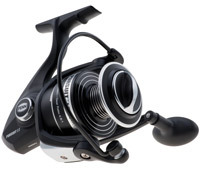 However, unlike most worm drive reels which have elongated bodies to house the mechanism, Ryobi's engineers have succeeded in making this one of the most compact reels on the market. 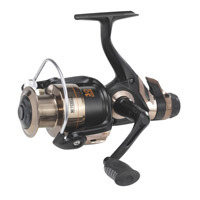 Specifications tell only part of the story and it is only on handling and using these magnificent reels that you can truly appreciate the pleasure that the superb engineering delivers. 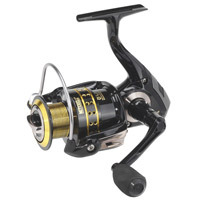 The Ryobi Naxo 1200 Distance Reel offers exceptional value with aluminium body and rotor, six ball bearings and a CNC machined aluminium long cast spool. 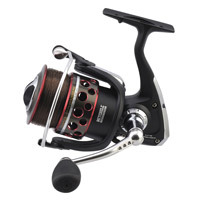 Specifications tell only part of the story and it is only on handling and using these magnificent reels that you can truly appreciate the feel and performance these reels deliver. 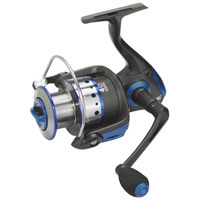 We're proud that our fishing products have long been recognised as innovative and clever and we think our new Ryobi Slam series of spin reels live up to that reputation, featuring a body, side plate, rotor and bail arm all made from NCRT, a titanium-carbon composite that is 20 percent lighter yet 40 percent stronger than graphite. 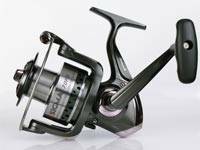 This revolutionary technology equals a cool looking lightweight range of high performance spin reels strong enough to land quality fish. 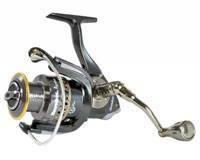 Internal features include a six ball bearing system plus one infinite anti-reverse bearing. 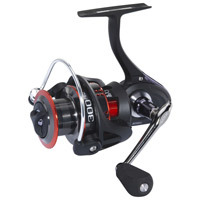 The main shaft is an impressive design, precision machined from titanium alloy. 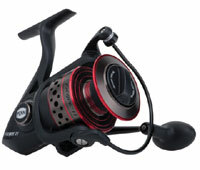 The drag capacities are impressive, with the 3000 and 4000 providing 5kg; and the 5000 up to 7.5kg.